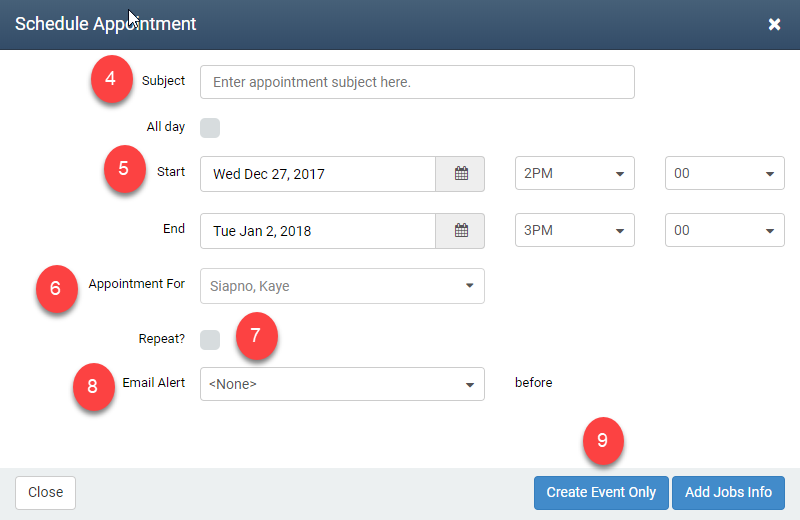 On the Scheduling page you have the option to create an appointment as well as an event! But how are they different/similar? The difference between the two is that an appointment is associated with a lead or job ticket while an event is used to block off time on a staff's schedule. For example, if you have a staff member who is on vacation or has a doctor's appointment you can use an event to block off that time on their schedule to avoid scheduling them by accident when they're not available. 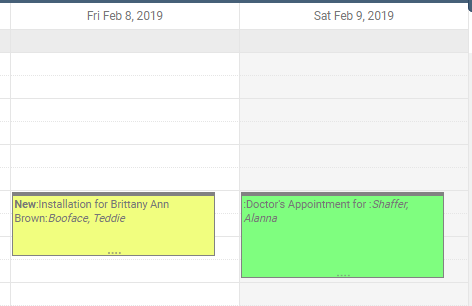 The yellow appointment box is an event assigned to a staff member, Teddie Booface, to block off time for his doctor's appointment. 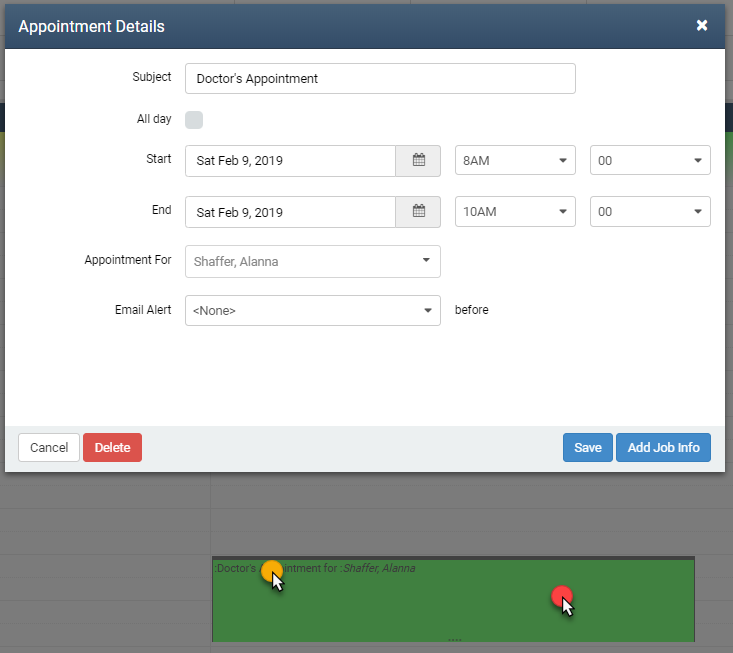 As you can see from the screenshot above, clicking into the blank space or text of the event will open the Appointment Details window to edit your Appointment information. Now you can use this for scheduling best practices!